I recently met my girlfriends grandfather. He is 88 years old and his daughter has been his sole caretaker. I spent an hour with him talking about fishing, hunting and politics. Shortly after we met he went on hospice care and was making arrangements for his death. He passed on the 1st of February. Last night we were invited to his home for a superbowl get together prior to his funeral. My girlfriends mother has been managing his affairs. She left for a moment and returned carrying an old rifle with a bayonet attached. She handed the rifle to me and told me that her father wanted me to have this rifle. She added that she has a son who is a felon and on probation so the gun can't be in her house. She added that her father wanted me to have the rifle and she was going to make it happen as it was one of his last requests. I know nothing of old rifles or how to take care of them. I refused the gift as it belongs in the family but his caretaker would have none of that. She got pretty angry and stated she was just doing what her father wanted. She demanded I take the gun as she wanted it out of the house. I made several other suggestions including selling it for them or even just holding it for them in case someone else in their family ever wanted it. I showed them some value of the guns by showing them She refused and I left with the rifle. Anyway... the rifle is a Lee Enfield with a bayonet. I have little information about the rifle and thought the many knowledgeable members here could tell me something of the weapon and what I have to do to take care of it. Any information on the rifle would be helpful. The family seemed interested in the history of the rifle after I told them what little i knew of the gun. Some of the markings have worn off I think. Any advice on how to take care of this rifle would be appreciated. I think what you have is a Short Magazine Lee Enfield (SMLE) No.1 Mk. III (not to be confused with the Mk. III*) with a Pattern 1907 sword bayonet. 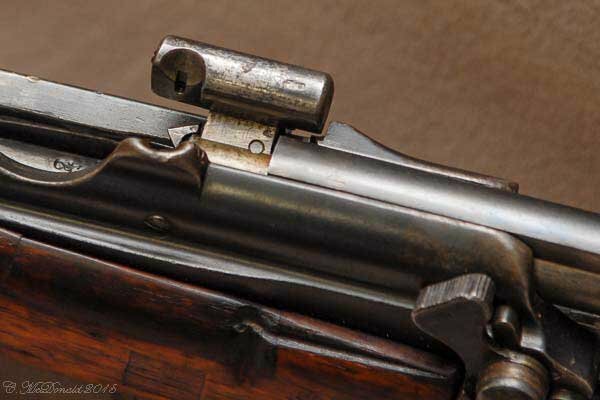 It should be chambered in .303 British unless if was altered, which doesn't seem to be the case. I would do nothing to it (don't clean it,) and bring it to a gunsmith who knows something about older rifles. If it were me, I would thank the family profusely for the nice memento and promise to take exceedingly good care of it. Nice gift! As NikonUser stated, a SMLE MkIII; an early one, judging by the magazine cutoff and the volley sights. It still has the volley sight (on left side of stock & sticking out by the rear sight). Most lost them at refurb. Rare specimen. That may very well be WWII bring back. I would sit down with the gentleman and ask some questions if he's up for it. Sorry for the passing of another member of the greatest generation and condolences to your girlfriend s family. It may actually be a WWI bring back. Also, the OP said the gentleman had sadly, passed away on February 1. It's dated 1907. It could be surplus sold here after WWII. I would look for British export proofmarks. I agree with this with a P.S. If something ever happens between you and your girlfriend I would offer it back to her or another family member though, that would only be right at least in my viewpoint. I’d probably figure out for sure if it’s still chambered in .303 British, and if it is, I’d shoot it every so often. This. My Dad has a couple in the safe with different configurations. Even has a 410 shotgun SMLE. They meant something to Dad and so they mean something to me now. I agree, make sure it's safe and shoot it sometimes. My neighbor, before he passed gave me his Ruger 44 carbine which he hunted with for years. I was very flattered. My daughter took a forkhorn last year with that carbine. I wouldn't trade it now. Not quite. That is a P1907 bayonet. But the rifle is not a No. 1 Mk. III. It is actually a No. 1 Mk. I***. That's a Short Magazine Lee Enfield No. 1 Mk I that has been partially upgraded to Mk. III standards. It was produced as a No. 1 Mk. I* in 1907 by Birmingham Small Arms, one of the last Mk. Is produced before they converted over to Mk. III production that same year. In addition to the dead giveaway of the "Mk. I***" marking on the receiver, also notice that it retains the earlier Mk. 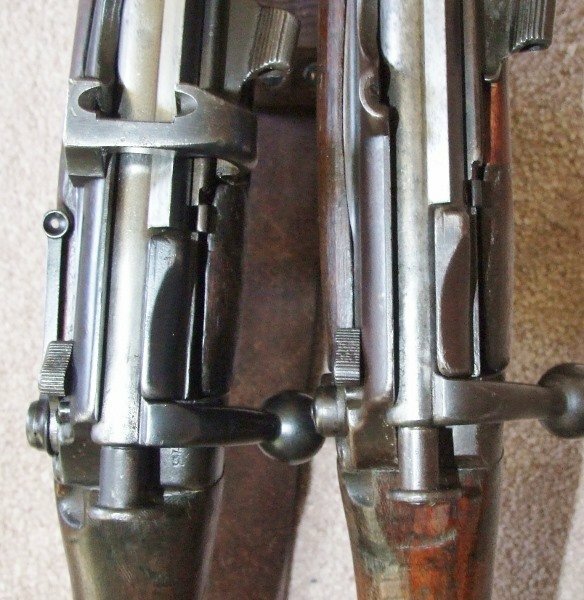 I's two-part sliding charger slot on the bolt and receiver, instead of the later Mk. III's fixed charger bridge over the receiver. Oops- I fixated on the line that said he IS 88 not was 88. Regardless, an amazing piece of history. Already had that chat. I am operating on the idea that I will hold and take care of it until she is ready for it. Thanks for all the information guys. Thanks for the picture with the volley sight. I was trying to figure out how the volley sight worked. Why wouldn't you keep that rifle? Apart from being a relatively uncommon rifle, it is a momento of the old man. 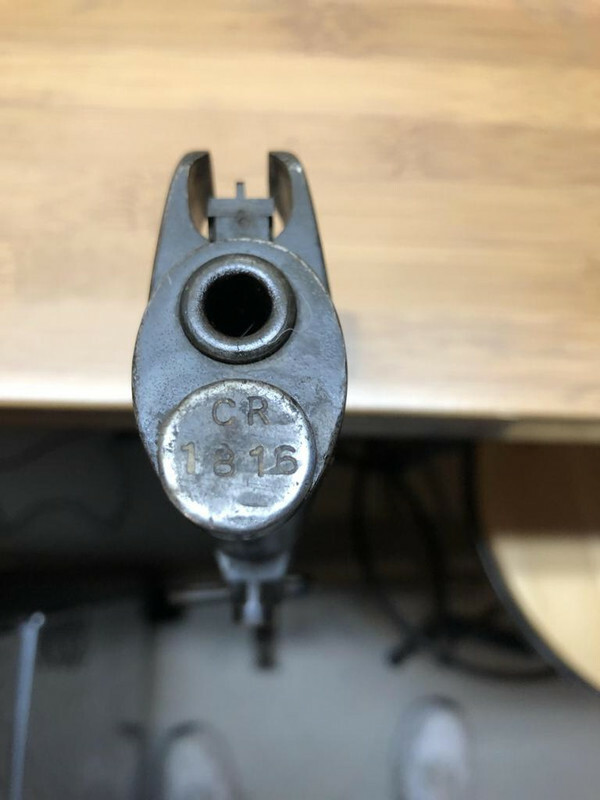 My wife's grandfather left me his old single shot shotgun. I only knew him short time before he died. Even though it is not worth anything, I treasure it and will never sell it. I still think of him ever time I open the safe and see it. buy more of these rifles to learn about their history and use during their lifetime. First two sentences I agree with. Next three, well sometimes things just "speak" to you. And in your own way you are preserving history. He wanted it to go to you, I would respect his wishes. These Mil Surps are a heck of a rabbit hole that they aren't making more of!